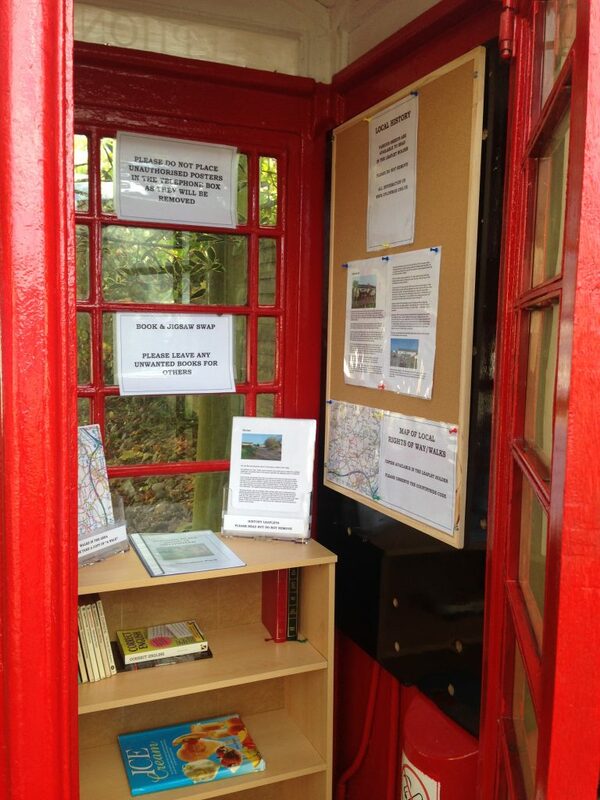 The Parish Council purchased the Telephone Box for a £1, and has had it refurbished using the true red paint. The cost was helped by the Town and Parish Fund. It has been fitted out as an Information Centre for residents and visitors. There are various sheets on the history of the Parish, and also the Public Rights of Way in the area so you can take a walk around our beautiful countryside. In addition there is a book swap where you can borrow a book, and if you like replace it with another. This entry was posted on Sunday, October 30th, 2016 at 6:49 pm and is filed under News. You can follow any responses to this entry through the RSS 2.0 feed. Responses are currently closed, but you can trackback from your own site.